The UK’s largest and longest-established optical fibre and photonics research group, Southampton’s Optoelectronics Research Centre (ORC) is driving innovations in fields such as silicon photonics, optical fibre communications and optical materials. On this one-year masters degree you’ll learn about the latest advances in photonics from leading experts in the ORC, and have the opportunity to conduct your own research using cleanroom facilities that are among the best in the country. You’ll be prepared for research and product development roles in the fast-growing photonics sector, or for PhD-level study. On the MSc Optical Fibre and Photonic Engineering degree you’ll gain specialist knowledge of technologies that harness the power of light, such as lasers and optical fibres. You’ll also learn how to design and create optical components and materials in the lab, and gain insights into today’s photonics industry. 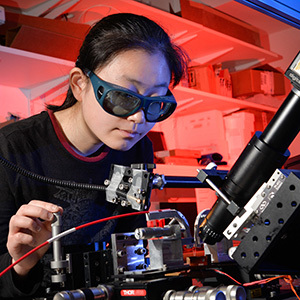 It’s an exciting field of engineering with numerous applications, from telecommunications to precision tools used in industry and medicine, and huge potential for innovation in areas such as silicon photonics and quantum technologies. You’ll be studying at a university with exceptional photonics research credentials and a global reputation. Our academics’ world-changing inventions include the fibre amplifiers that make today’s internet possible, and the high-power fibre laser, which has revolutionised manufacturing techniques. Light has supported life on Earth for billions of years. I believe that by researching photonics and applying it in more advanced ways, we can improve life and the environment. 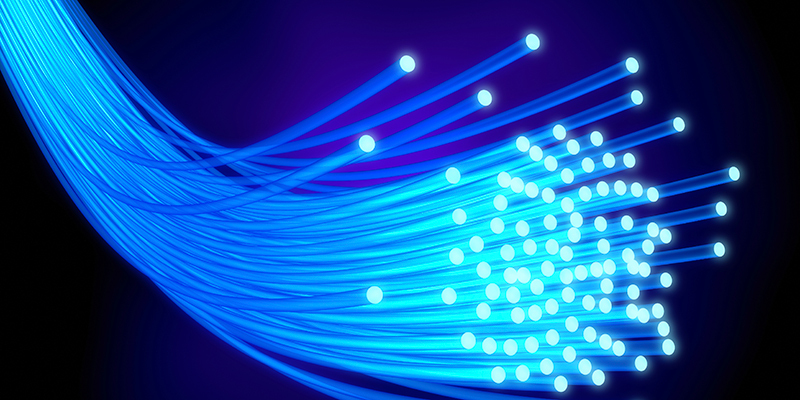 In compulsory modules you’ll study lasers, optical fibres, optical fibre sensors and fibre telecommunication systems. You can also pursue your own interests by choosing from a range of specialist optional modules. These are drawn from photonics, physics and electronic engineering, and include both fundamental and applied photonics topics. You could explore microsensor technologies, nanoscience or silicon photonics, for example, or learn about microfabrication techniques. With small class sizes and plenty of support from your personal academic tutor and PhD student mentor, we’ll help you to settle in and make the transition to masters-level study. In the Photonics Laboratory and Study Skills module you’ll undertake experiments in the photonics lab – for example, you’ll build and characterise a small laser, and examine the properties of optical fibres. These experiments will teach you fundamental photonic engineering concepts, while giving you experience of using optical fibre and laser equipment. This practical training will help prepare you for your research project, which is an opportunity to investigate an aspect of optical fibre or photonic engineering that interests you. Many projects involve working in the cleanrooms, for example to fabricate an optical fibre or a silicon photonic optical circuit. You’ll work within one of the ORC’s research groups alongside PhD, postdoctoral students and academics, giving you a taste of life as a researcher. For some of our masters students, the research project has led to the publication of their first scientific paper. You’ll take part in our Industry Showcase week, which is just for our MSc Optical Fibre and Photonic Engineering students. During the week you’ll visit photonics companies and meet entrepreneurs and company executives. As well as gaining an insight into current trends in this fast-moving industry, you’ll see the role of both research and business in making new technologies a reality. In a follow-up exercise you’ll examine the strategic and commercial considerations facing these companies, such as which technologies they should invest in for the future. Throughout the course you’ll also benefit from your lecturers’ extensive industry knowledge, which enables them to keep students up to date with the latest sector trends. Academics have close ties to industry through research collaborations and their own enterprise activities – ORC researchers have formed 11 spin-out companies, creating a ‘Light Valley’ of successful photonics companies in the Southampton area. You’ll undertake project work in the ORC’s advanced optical fibre and laser research laboratories and in our £120m cleanroom complex – the largest multidisciplinary cleanroom of its type in the UK. We are one of a handful of universities with optical fibre production facilities, giving you a rare opportunity to see first hand how fibres are made. You’ll take eight taught modules across semesters one and two – six compulsory modules and two optional modules. In the third semester you’ll work on your research project and take part in the Industry Showcase. Our normal entry requirement is a UK upper second-class honours degree or higher (or equivalent) in a related discipline such as physics, electronics, engineering, materials science or mathematics. If English is not your first language, you will be required to pass an approved English test. We normally ask for Band 2c, IELTS 6.5 overall with at least 6.0 in each competency. For information on other accepted English language tests, please visit www.southampton.ac.uk/admissions_language. We welcome applications from international students. For information on applying, visit the International Office website. Please note we are part of the Faculty of Physical Sciences and Engineering (FPSE). All individuals are selected and treated on their relative merits and abilities in line with the University's Equal Opportunities Policy. Disabled applicants will be treated according to the same procedures as any other applicant with the added involvement of the Disability Office to assess their needs. The programme may require adaptation for students with disabilities (eg hearing impairment, visual impairment, mobility difficulties, dyslexia), particularly the practical laboratory sessions, and we will attempt to accommodate students wherever possible. With a specialist photonics MSc you’ll have excellent job prospects in a thriving sector. In the UK alone, the photonics industry is worth over £12bn and is growing at twice the speed of the rest of the economy. Our alumni have gone on to take leading roles in industrial photonics research and product development across the world; some now run their own photonics enterprises. Others have chosen to continue to pursue their research at PhD level. Our academics’ industry knowledge and their global network of contacts in the photonics sector mean they are well placed to help you with your career choices, and may be able to put you in touch with photonics companies that match your specialist skills and interests. Our masters students also have access to career support through our dedicated Careers Hub. It organises an annual careers fair attended by photonics companies, runs careers workshops throughout the year and coordinates an online jobs portal. If you are interested in commercialising a photonics innovation, our on-campus start-up accelerator, Future Worlds, can offer advice and put you in touch with mentors and potential investors. Discover more about enterprise and entrepreneurship opportunities at Southampton. a final project dissertation (~15000 words) and conference-style final project presentation to all the students on the programme.